We all have to take a loan at some point of time, may it be for a car or for a house. But there are a few things to be kept in mind while taking a loan, you should read the terms and conditions carefully, make a note of the interest and the date of repayment. If you are unable to pay the loan tomorrow you can be dragged to court and in worse situation your property will be seized and auctioned by the bank. Make sure not to miss on your loan payments, if you are in financial crisis then tell the lender they will arrange for another method for you to repay, the more you run from them, the more they will think of selling your property. Also make sure to read all the penalties involved if pay the loan before time or late. As the borrower you should clarify all your doubts, because these papers tomorrow can be used against you if you default on your loan payment. 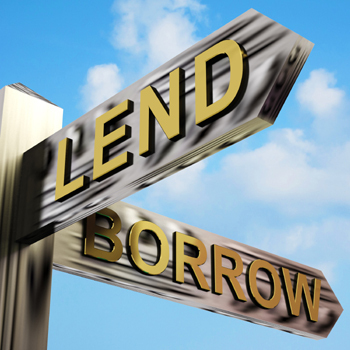 Do you need quick money and have a bad credit rating then high risk loans are a thing for you. The lenders today are ready to lend money even to low credit rating customers but the interest rate is of course higher. You will get a loan for lesser amount at a higher interest rate and to be paid at a lesser time but if you are in need of money this can be of big help. If you have an ok credit rating the interest rate could be lesser. So you have to think do you need the loan right now or you can wait. You can easily make your credit rating a lot better in a couple of years by making your loan payments on time, using a secured credit card there are a lot of other ways. If you improve your credit rating getting a loan with low interest and higher value is going to be easy. But do look around for the best loan you can get, compare all your options and choose the best. Payday loans are life savers as you may know they provide you the extra money you need and you can easily pay them of when you get your next pay check, but what is a no fax payday loan? In case of a no fax payday loan you no longer need to fax your details to the loan company they will find out all about your job and pay checks by other channels. But the process is a lot slower as the lender has to wait for all the info about you. You can make the process faster by giving the correct information about your employer his phone no. and your bank details it saves you the time of faxing all documents. The lender check if you are employed for a minimum of 3 months and you have a regular pay check account or not once these are verified the loan is sanctioned and put to your account. If you don’t pay on time they directly take money from your account. If you have already applied for such a payday loan it can be a lot easier to take a new one. You can also get a zero interest rate offer on your first loan. Are you a student, is the public transportation draining out all your energy, don’t have the money to buy a personnel car, then student car loan is the thing for you. You not only get a loan at cheap rates, but your hectic schedule eases up a bit. The lenders sanction the student car loans easily, as if a student defaults they can easily seize the car, sell get and get their money back. It’s easy to apply for a student’s car loan, you can look online for lenders and according to your requirement choose anyone. Taking a student car loan also improves your credit rating with every payment you make you credit score improves. If you have a bad credit score you can still avail this loan as car is the security for the lender, the moment you default one payment they will sell your car. So if you don’t want travel by public transport get your own car today.